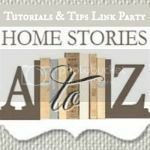 Welcome to the 97th week of the Tutorials & Tips Link Party! Holy guacamole we’ve been doing this gig for awhile now, eh? I’ll have to think quick about a special way to celebrate week 100 with you! In the meantime, I have a fun announcement from Homes.com. 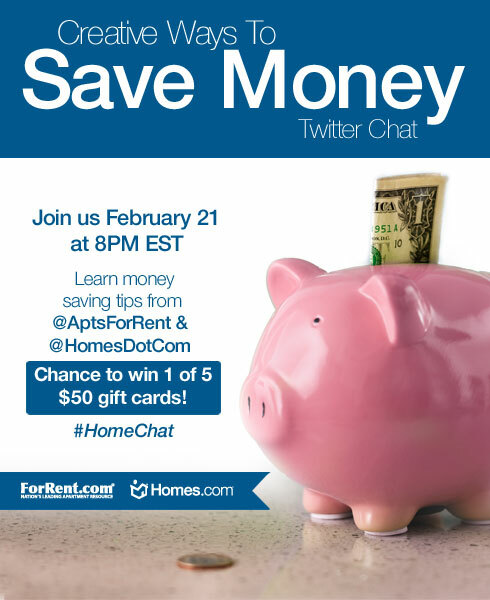 I am proud to be a brand ambassador for Homes.com and this Thursday at 8pm we are having a Twitter chat with our sister company ForRent.com. Kari from Newlyweds on a Budget will be co-hosting the chat and we’ll be talking about all the creative ways to save money (in the home, while shopping, best coupon sources, etc.). I’m in the middle of figuring out my taxes and can definitely use some more creative money-saving tips. Oh, and they will actually be giving away some moolah during the chat! Woohoo! Hope to see you there under hashtag HomeChat. Okay, let’s get this party started! Did you see the best of last week? If not be sure to check out the Tutes & Tips Not to Miss to see all of the features. I’m excited to see what you created this week! You all are so amazing and inspiring. If you’d like to join the party, please remember to read the rules before linking. Thanks for hosting! So much inspiration here! Hi Beth, Almost 100 – that’s a lot of parties! Thanks for hosting. Always fun to link up and check out some of the other lovely links. Thanks for hosting!!! Always a fun place to be! Thank you for hosting again, Beth! I’d love if you’d come join my How To Tuesday link party, too. I’m brand new to the party! Thanks for hosting! Thanks for the party, Beth! Thanks for hosting, Beth! See you at the twitter chat on Thursday! Thanks so much Beth for hosting another great party! Thanks so much for hosting, Beth. Have a fabulous week! I hope I can tune in to the Twitter chat! Great party as always, and thanks for hosting! wow! 100! thanks for hosting Beth! Thanks for hosting Beth! You’ll be celebrating 100 before you know it!! Thank you for the party!!! Happy Monday night to you! Thanks so much for hosting, Beth. Have a great week.